It is possible to make money mystery shopping, but as with any money-making opportunity, you will need to invest time, energy and effort to reap rewards. You must apply with legitimate mystery shopping companies in order to be considered for assignments. These companies do not send out unsolicited invitations to mystery shop, nor do they provide shoppers with large amounts of cash in advance, wire them money or need their bank or credit card account numbers. They also do not ask shoppers to pay application fees. Any such "offers" are scams and should be avoided. The first step to becoming a mystery shopper is to find and register with companies that utilize the services of mystery shoppers. The Volition.com Mystery Shopping Companies List is the best resource for finding shopping companies. There is no fee to use Volition's list and all of the companies included on it have been verified as reputable businesses that utilize the services of mystery shoppers. While you could also do a general Internet search for mystery shopping companies, it is better to use Volition's list. When doing a general search, chances are you will land on some scams or less-than-reputable outfits. As a novice, you might not know how to tell the difference. These shady operations don't end up on the Volition list. Plus, if you run your own search, you will spend a lot of time looking for information that is already neatly compiled for you on the Volition site. Save your time for the registration process, and just use the Volition list. The master Mystery Shopping Companies List is broken down into three alphabetized lists of United States companies and one list of international companies. When you click on any individual list page, you will see the name of each mystery shopping company listed, along with a general description of the type of work the company does. Clicking on the company name will take you to the organization's website, where you can learn more about the company and fill out an application. When you review Volition's list, you will see that there are a large number of mystery shopping companies. You may want to register with all of them to maximize your opportunities for getting jobs, or you may want to attempt to narrow down to a few companies. If you know you are primarily interested in restaurant or movie shopping jobs, you can scan the lists to see which ones list those particular specialties and just apply with them. The drawback to this method, though, is that clients change mystery shopping providers often, so you may miss out on some opportunities if you do this. You may want to at least visit the website of each of the listed companies, as you may learn more about current opportunities or geographic area served by doing that. This will allow you to make a more informed decision of which companies to sign up with. You can also visit the Volition.com Mystery Shopping Forum to view feedback posted by site users. This can help you get a sense of which companies have the most jobs and find out how individual companies are rated by people who shop for them. You can also find out about companies that shoppers have problems with. If you want to make as much money as possible mystery shopping, give serious thought to registering with all of the companies listed on the Volition website. This will open up the largest pool of potential assignments to you. Once you have identified mystery shopping companies that you'd like to work with, you will need to go through the process of registering with each one. Keep in mind that mystery shopping companies are all separate business entities, so you will need to apply to each one individually. This can be quite time consuming, so be prepared to spend a number of hours filling out online applications as you go through the process of registering to mystery shop. Technology equipment and skills; shops must typically be entered online; some require digital photos, scanned receipts, audio or video recording, etc. To make the registration process manageable, consider breaking the process into chunks and setting a goal for yourself. For example, if you want to register with 20 mystery shopping providers to start with, consider setting a goal to register with five companies every week for a month. Once you have done that, you can decide if you want to continue registering with others. Once you have completed the registration process, companies you applied with will review the information you provide. If your application meets their criteria, a representative will contact you (usually by email) to let you know that you have been approved to shop for the organization. Before you can begin performing shops, you will usually be required to complete an independent contractor agreement and submit a W-9 form, since mystery shopping earnings are subject to income tax. Many mystery shopping companies require new shoppers to complete online training and pass exams that demonstrate understanding of shop requirements. Some do an 'across the board' training and test, while others require shoppers to pass client- or project-specific exams before becoming eligible to perform shops. Do not assume that you are all set to begin shopping when you receive an initial approval from a mystery shopping provider. Read the message you get carefully, being sure to follow all instructions. It is not likely that the company will follow up with you if you don't. It is up to you to complete all steps required. Once you are approved to perform shops with one or more companies, you will be eligible for shop assignments. Each company works a little differently, so pay close attention to the guidelines you receive from the companies you are approved to work with. Some shopping providers send out email notifications to shopper when jobs they are eligible for are available. Others expect shoppers to log into job boards to check and see what are available. Some providers allow shoppers to self-assign themselves to jobs they are qualified for. Others require shoppers to request jobs they are interested in, with schedulers deciding which shoppers out of those who expressed an interest will be assigned. Schedulers sometimes call shoppers to ask if they would like to claim specific shop assignments. This typically happens when a deadline is approaching and an assignment has not been claimed, or when a shopper "drops" a shop, which means that the person does not complete shops that he or she committed to do. 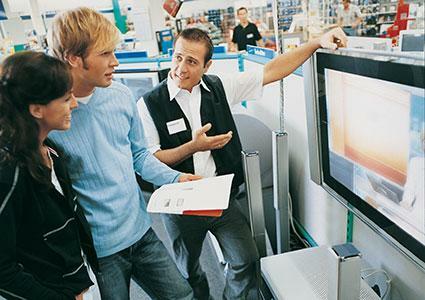 Once you accept shop assignments, you will need to complete them accurately and on-time. Read shop instructions and guidelines very carefully. If you don't follow the instructions precisely, you may not get paid for your work and you may not be invited to continue shopping in the future. Performing an assigned shop is only one part of meeting the deadline. You must also submit all required documentation within the required timeframe. Some shops have very tight deadlines, with documentation due 12 hours or less after a shop is completed, while others allow a bit more time. Schedulers may contact you for additional information or clarification once you have turned in shop documentation. Be quick to respond, as failing to provide all necessary information could cause your shop to be invalidated, which means that you will not get paid. Mystery shopping providers will deactivate shoppers whose performance is not up to standard. To ensure that you remain eligible to do mystery shopping jobs after you have invested the time and energy required to apply and get accepted, it is important to do quality work and honor your commitments. Always follow instructions and turn in well-written, thorough reports with no errors. Never "drop" shops. This puts schedulers in a bind, and will often lead them to de-activate you. Only claim shops that you know you can complete by the deadline. You can definitely make money mystery shopping, but you must keep in mind that it isn't a way to get rich quickly. Like any legitimate earning opportunity, with mystery shopping, you will reap benefits based on what you put in. According to BestMark, a mystery shopping service provider, assignments that novice shoppers qualify for typically pay between $7 and $20 each. As an occasional mystery shopper, you can make extra money and score some free restaurant meals, movie tickets, or other products and services along with way. If you dedicate quite a few hours to mystery shopping each week, you can earn a good supplemental income. BestMark estimates that it's possible for dedicated shoppers to make in the $5 to $10 thousand per year range. However, this will likely require working with multiple companies and complete multiple shops each week. The Volition website is a useful tool for new shoppers; it is truly the best online resource for anyone who wants to get involved in mystery shopping. There are other sites out there - some of which charge a fee - and that is money that you just do not need to spend. The Shopping Assignments job board on the website for the Mystery Shopping Providers Association of North America (MSPA-NA), a trade association for mystery shopping companies, is another no-cost resource that can be beneficial to you. Schedulers also sometimes post opportunities on the WAMH.com sub-forum dedicated to mystery shopping. Have a look at these resources and start applying for some fun mystery shopping jobs.